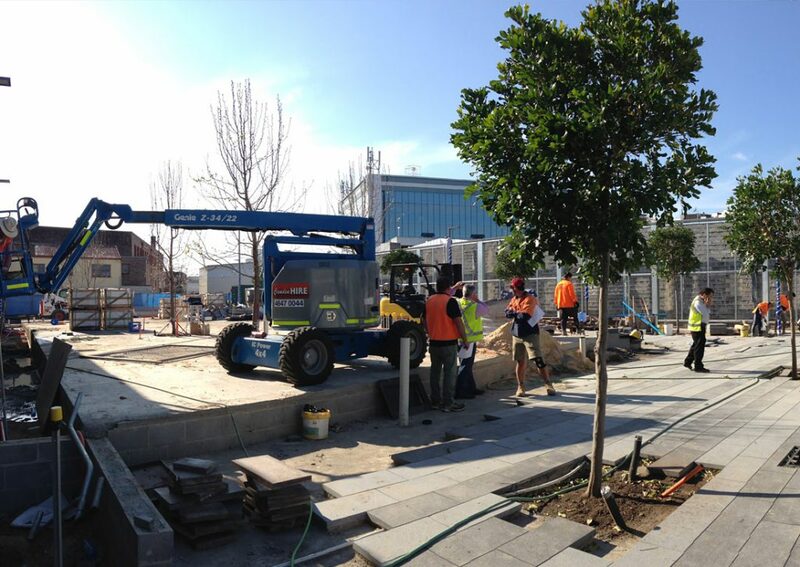 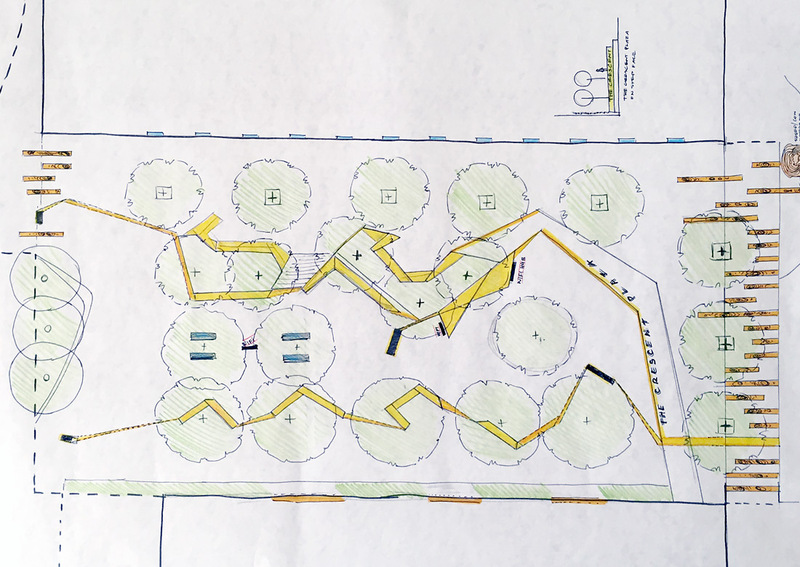 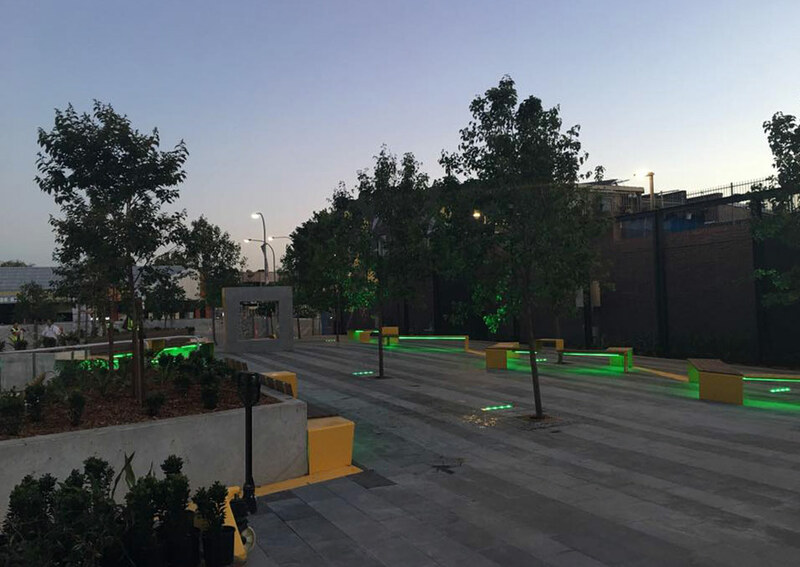 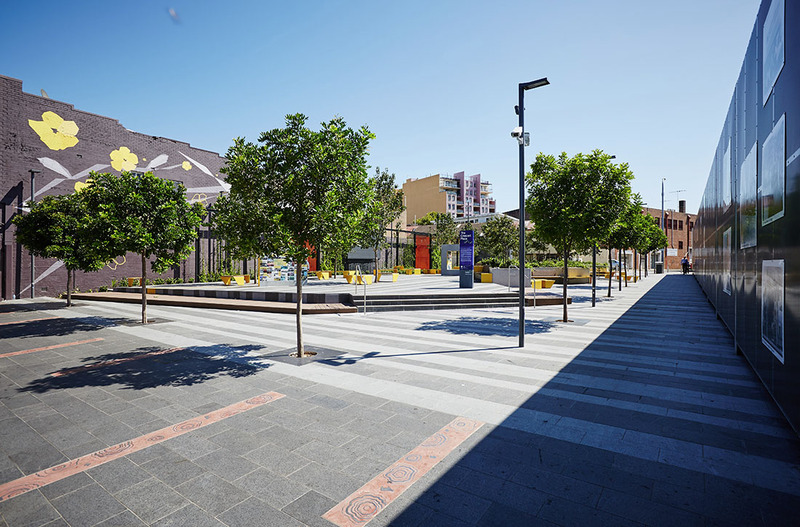 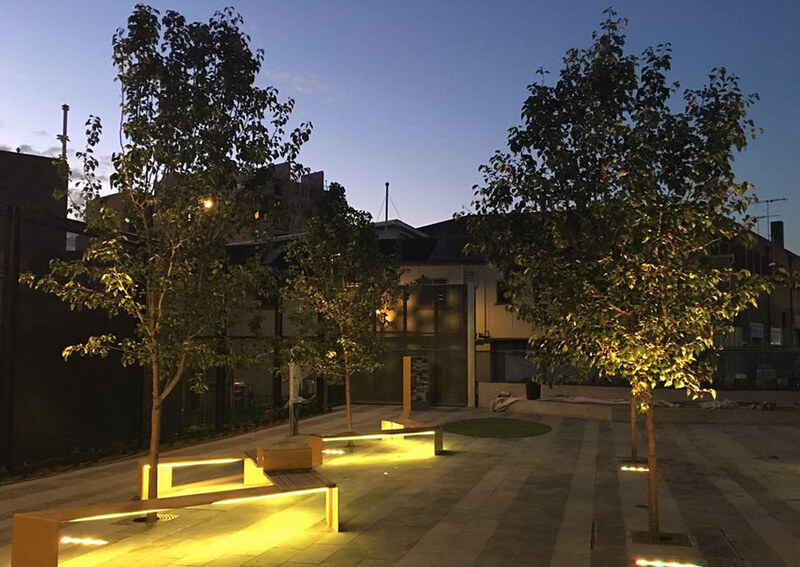 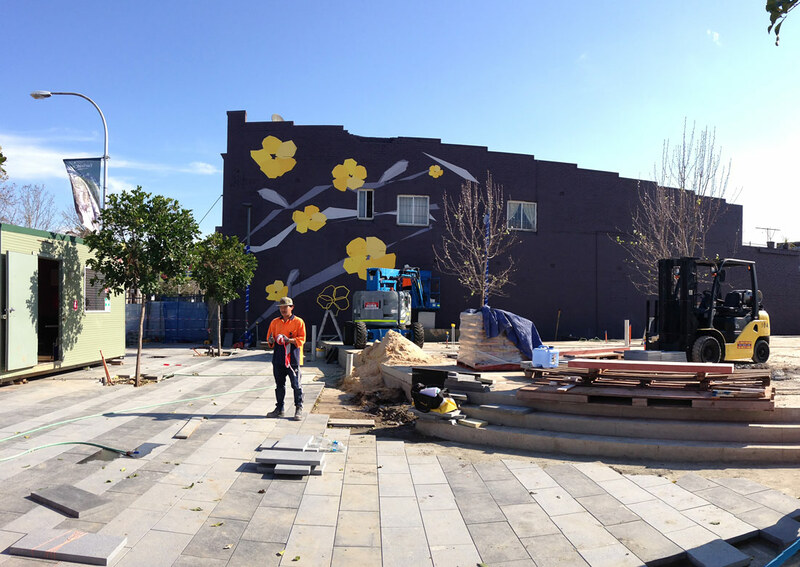 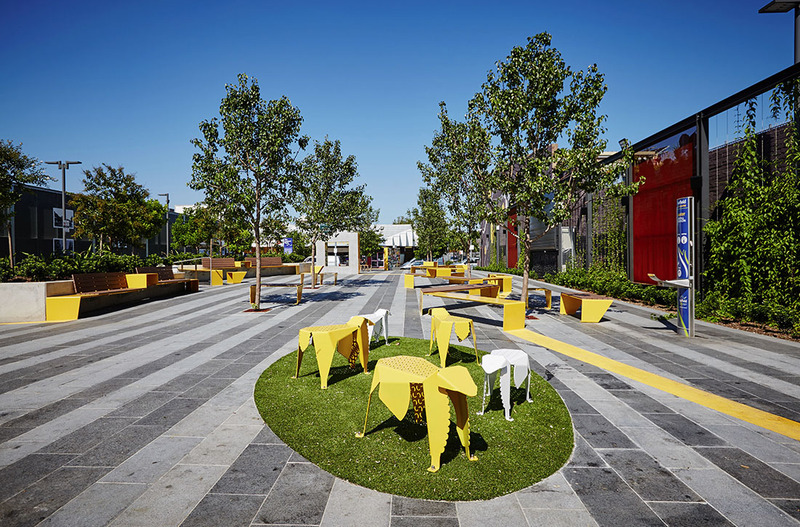 The Crescent Plaza and the artworks it contains have been designed in collaboration with Fairfield City Council alongside Chamy Chen, Fairfield’s landscape architect. 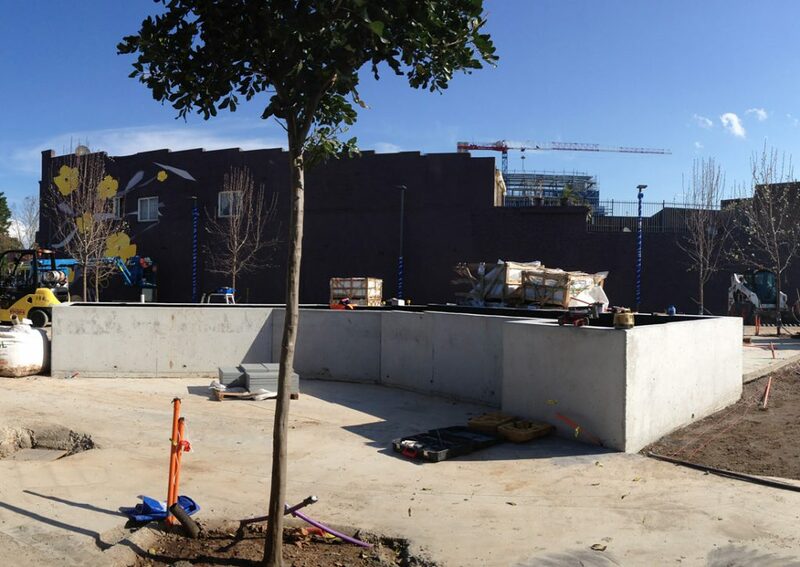 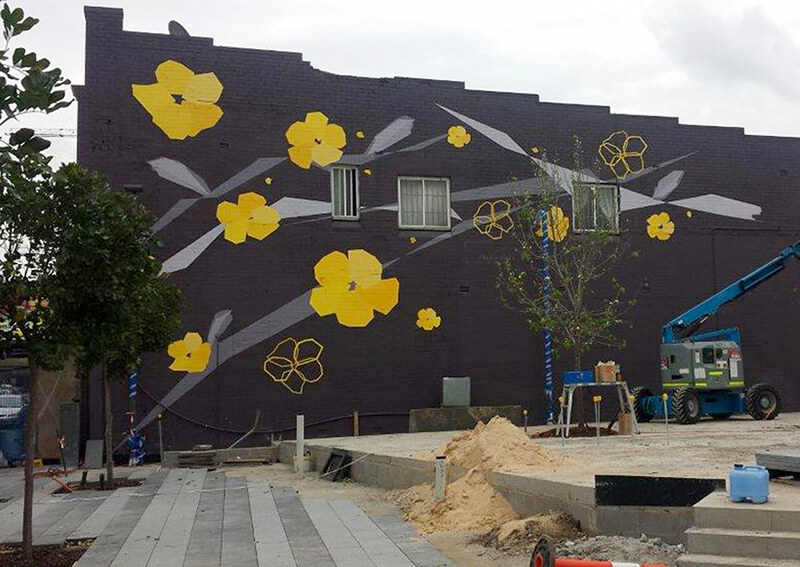 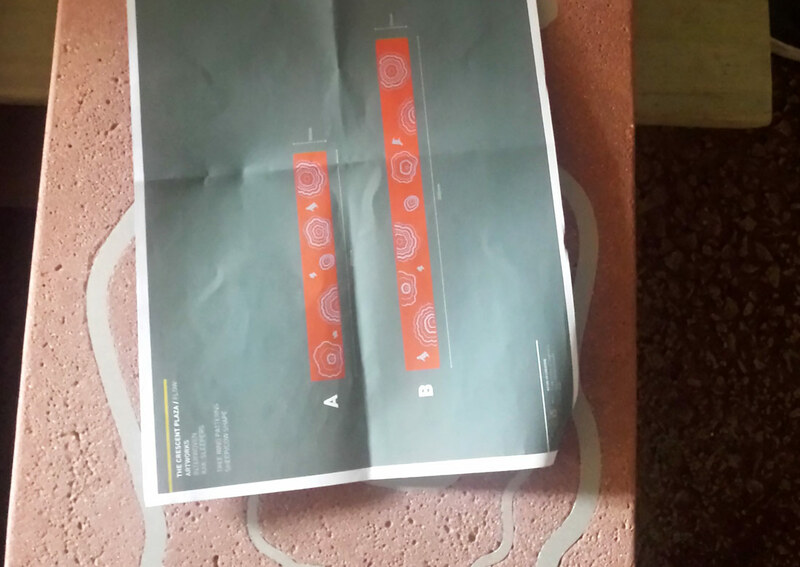 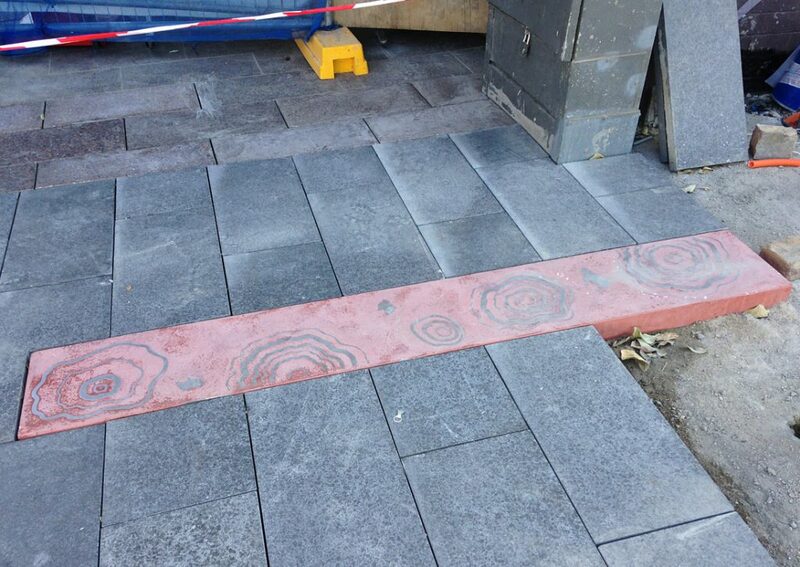 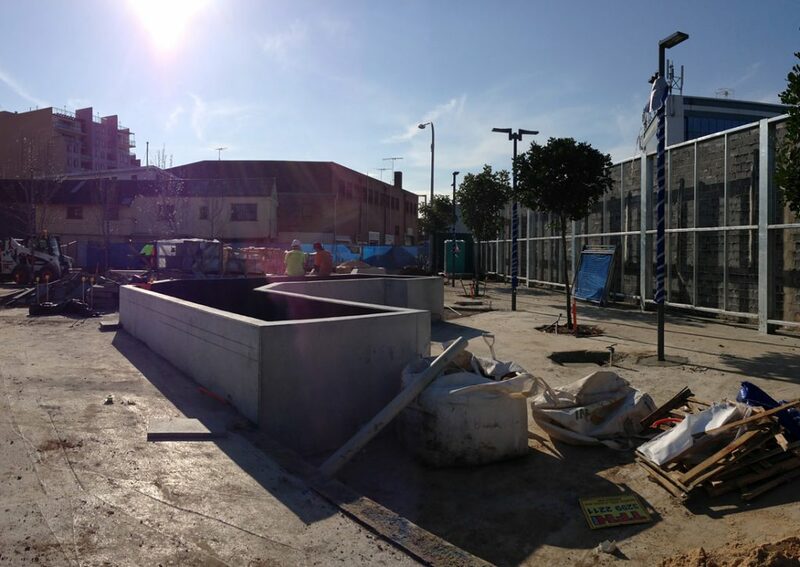 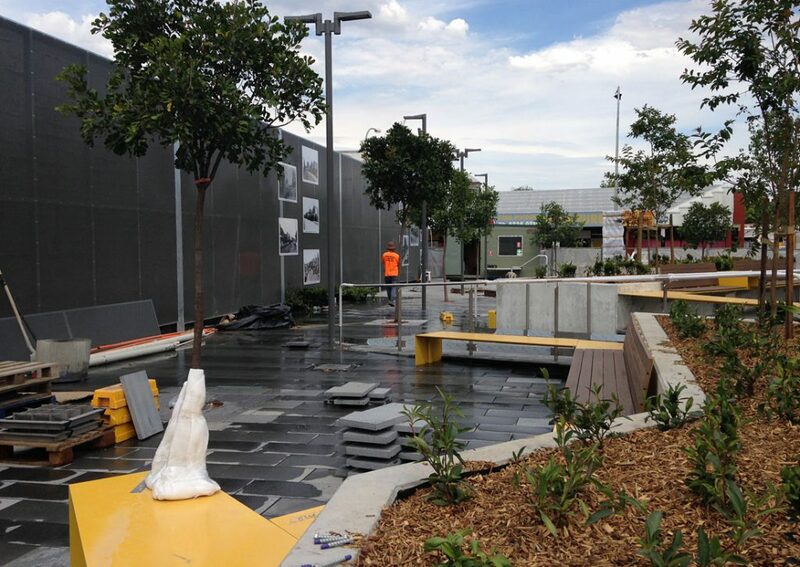 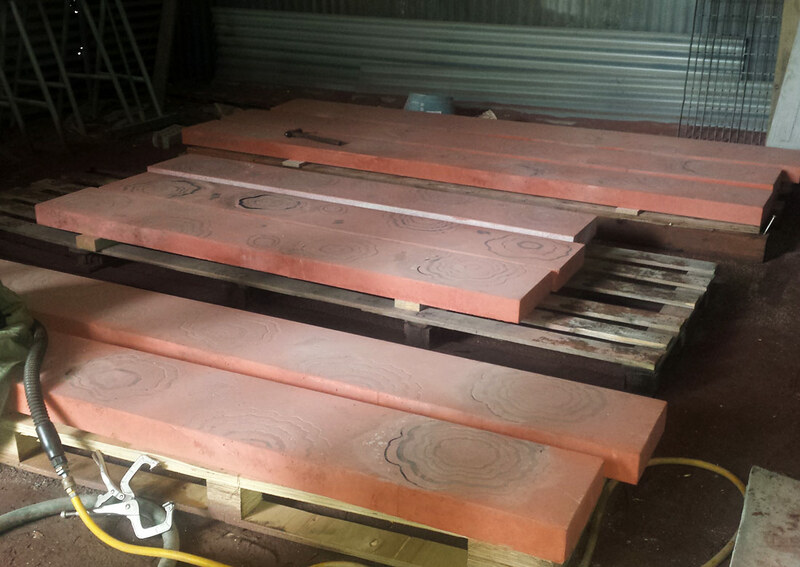 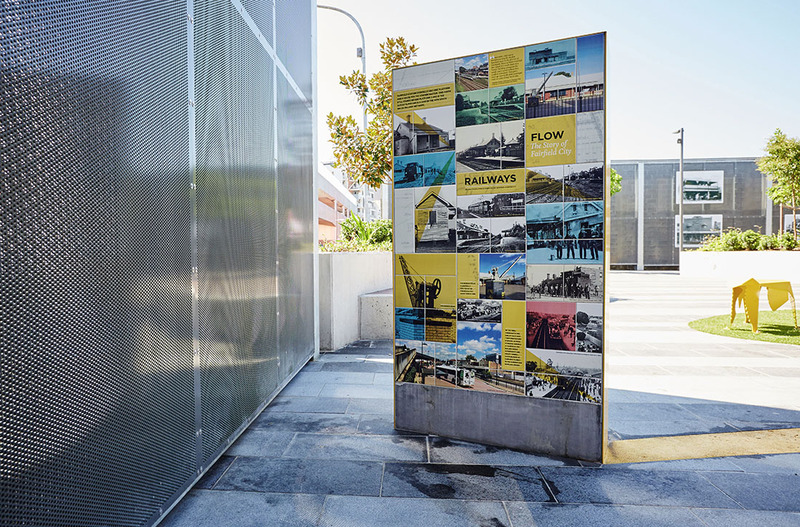 The Artworks include the Flow Sculptural Ribbon/Seating connecting the Timeline Walls, Gallery Walk, Grazing Sheep sculpture, Footpath Railway Sleepers and Vine Floral Mural. 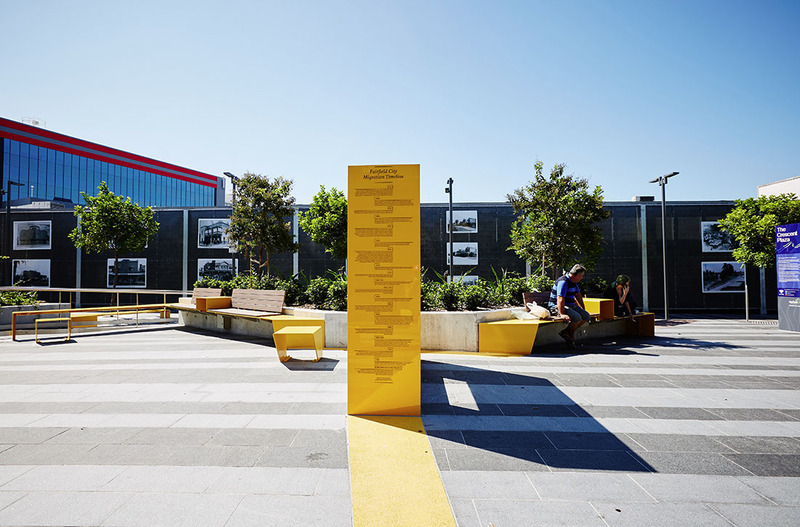 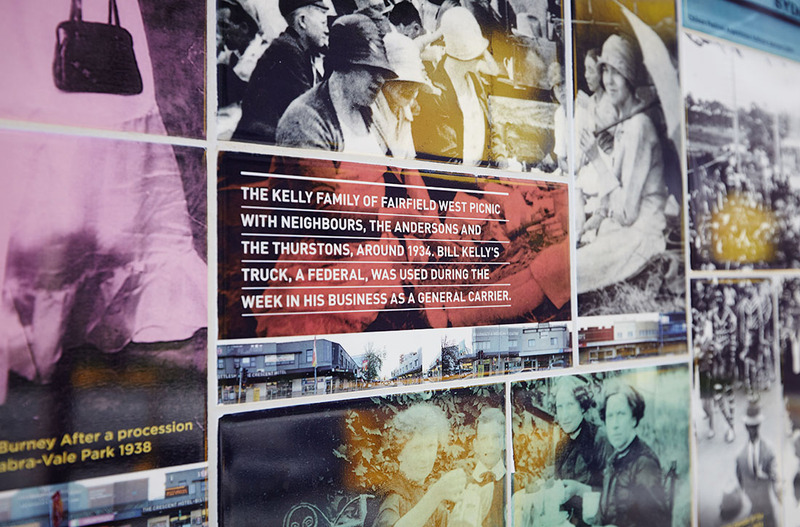 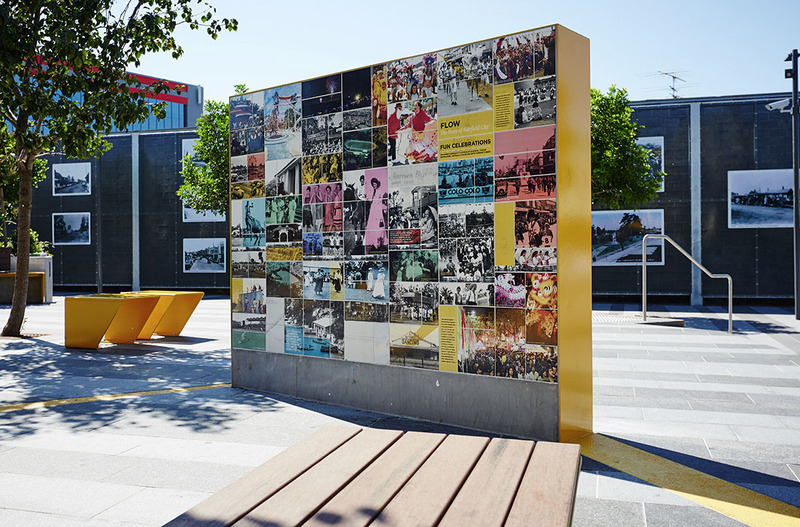 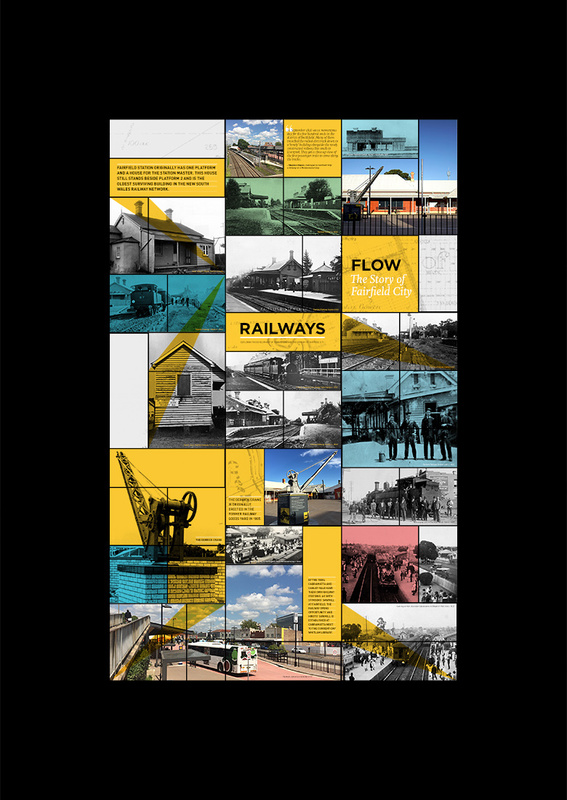 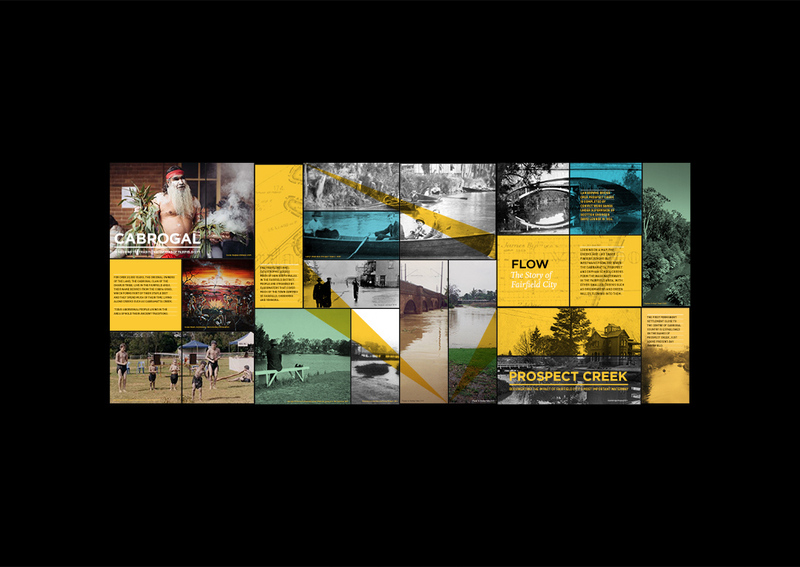 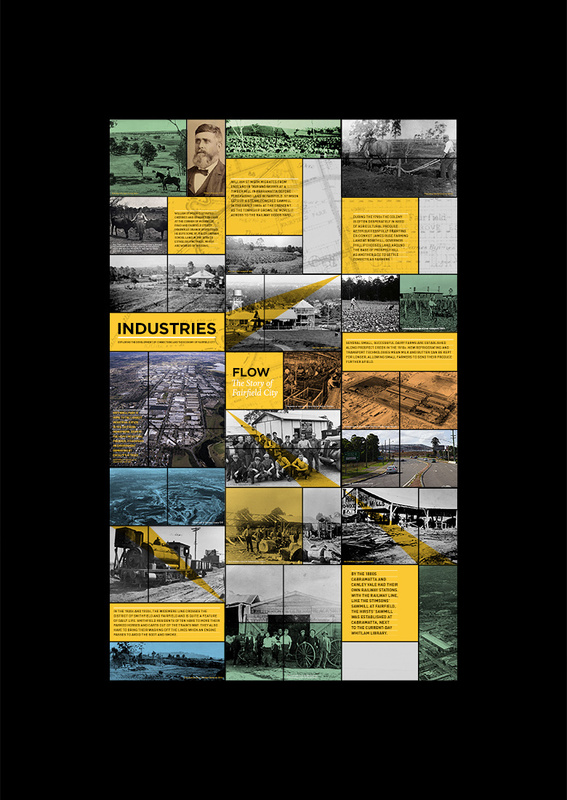 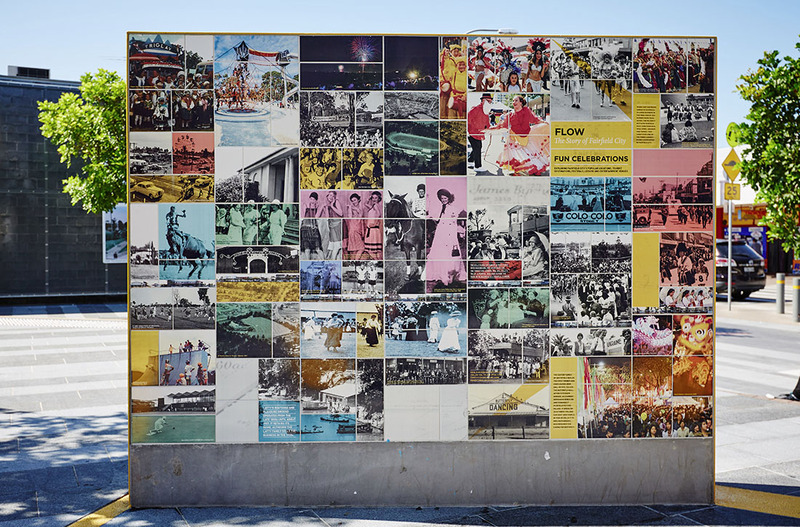 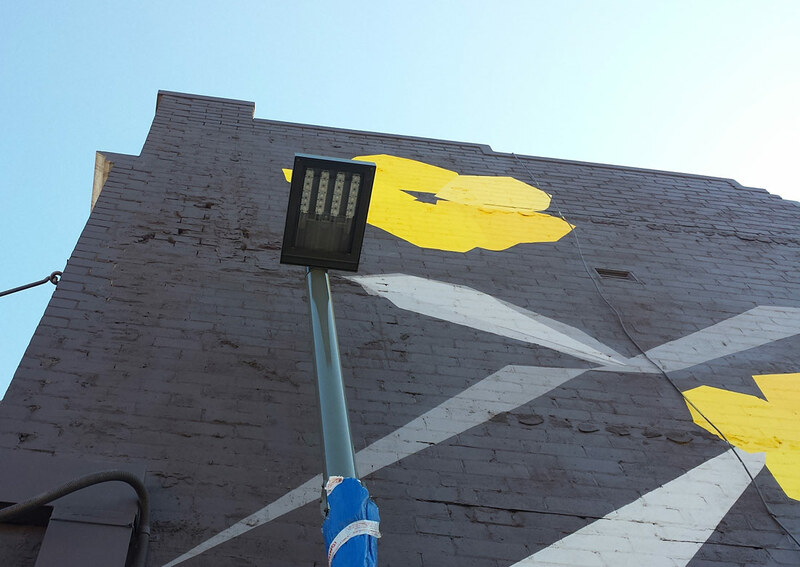 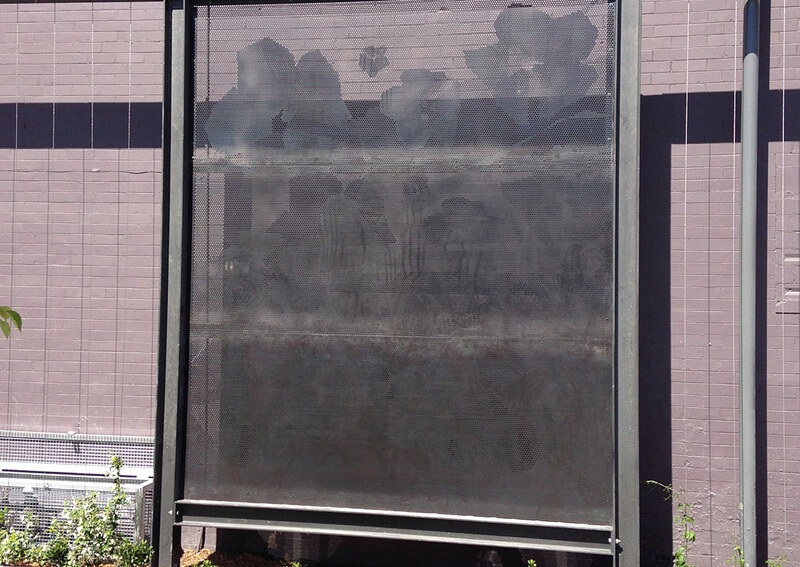 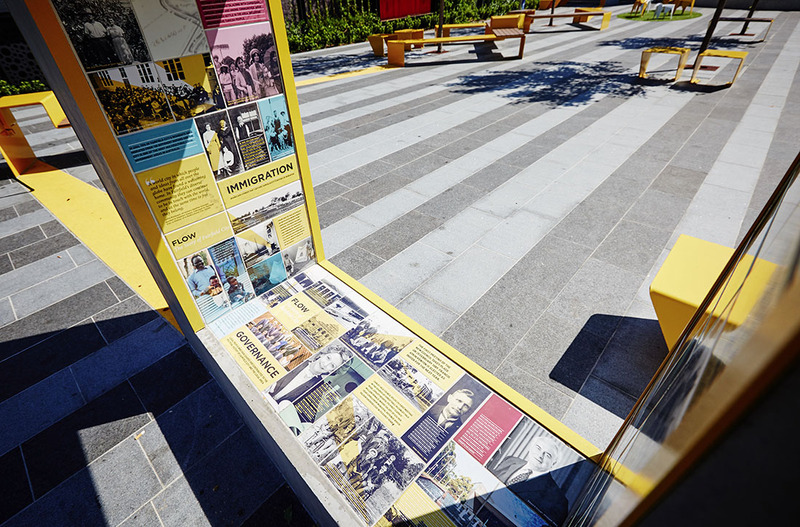 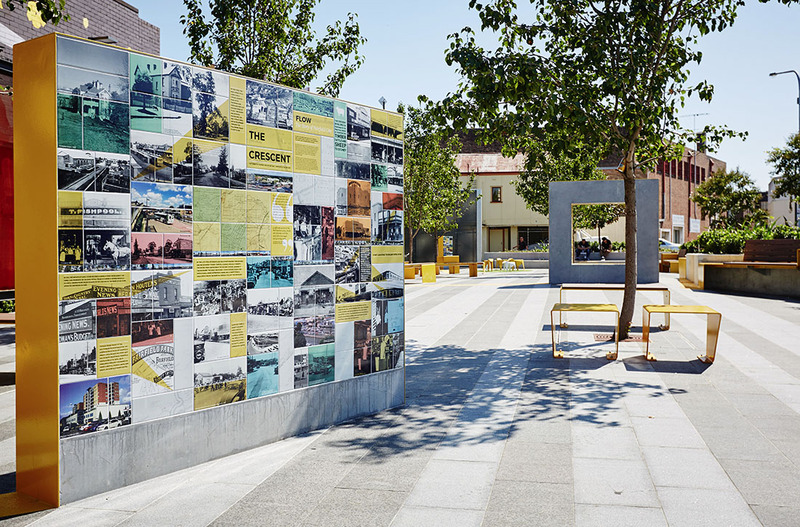 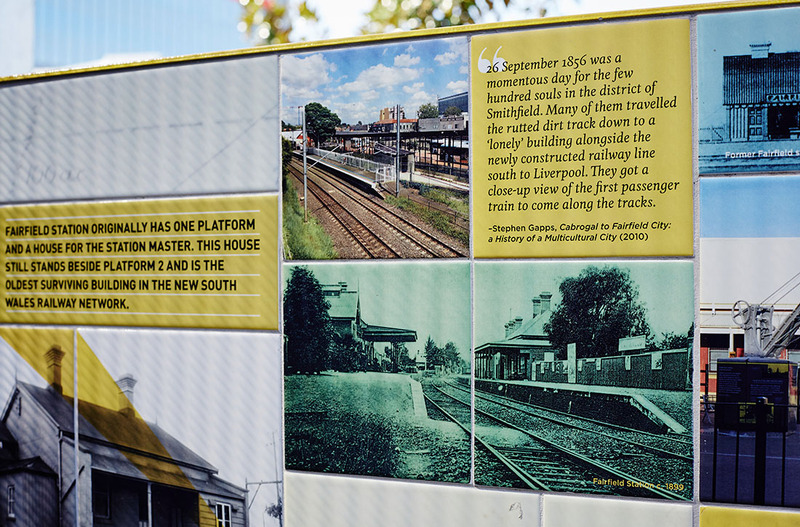 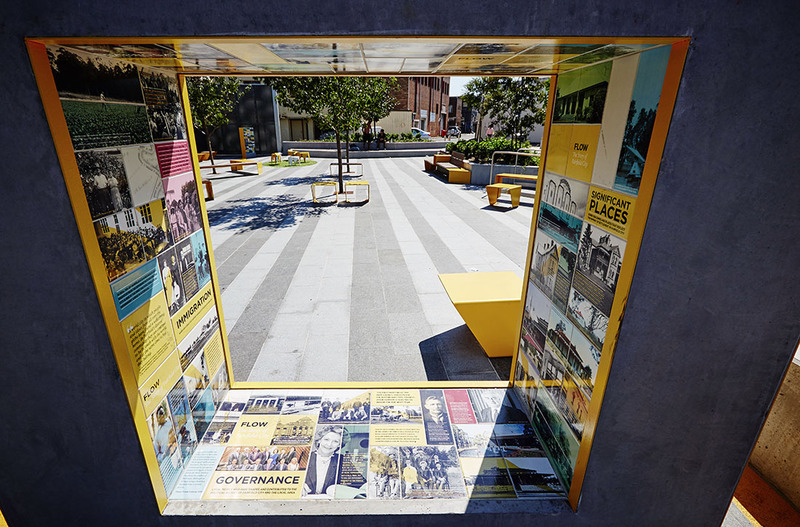 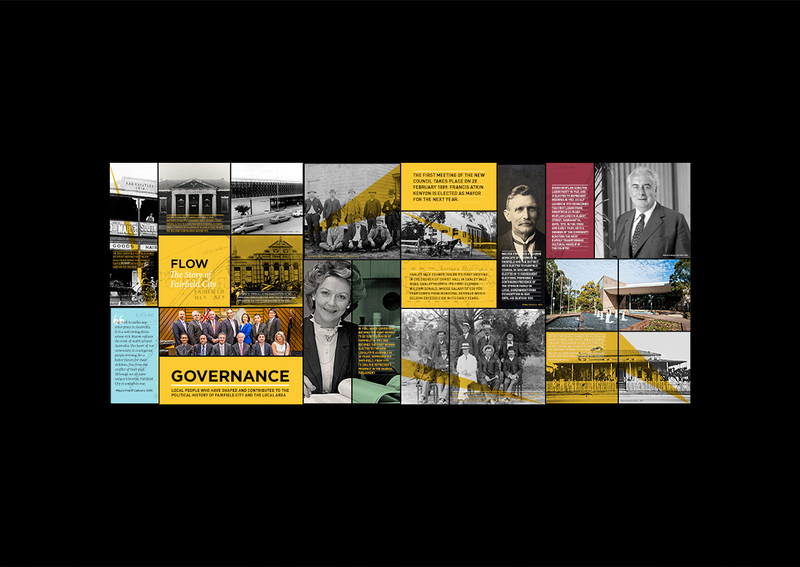 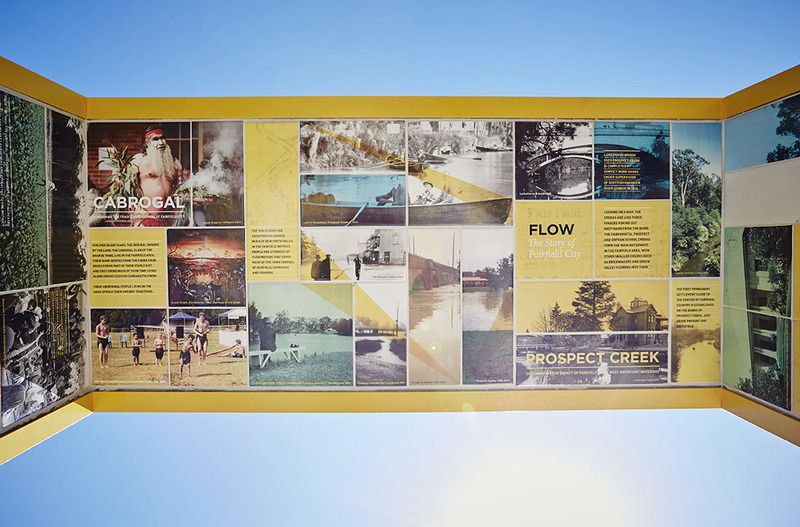 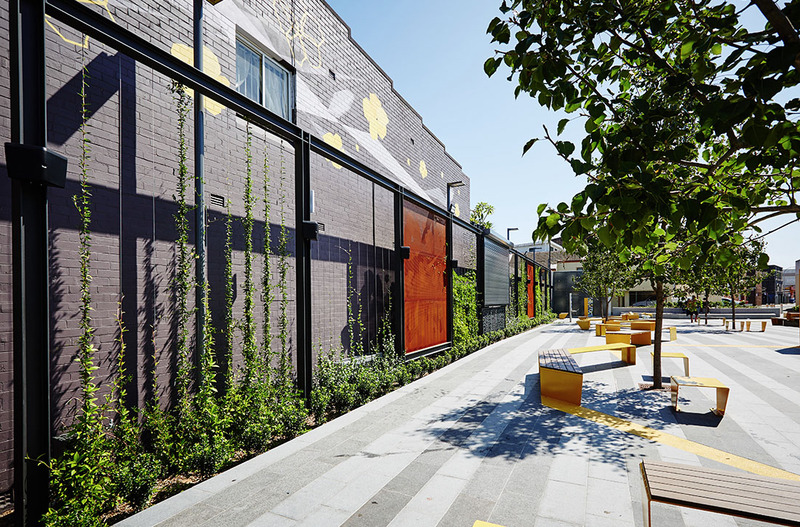 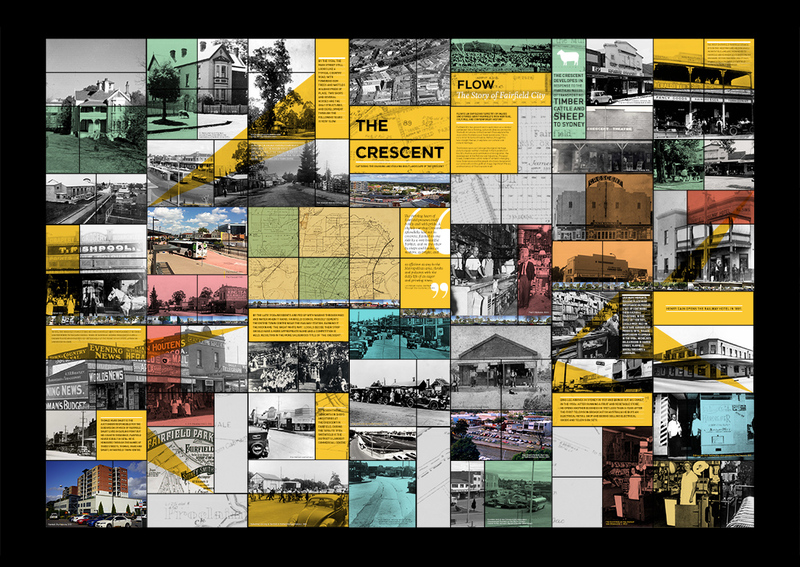 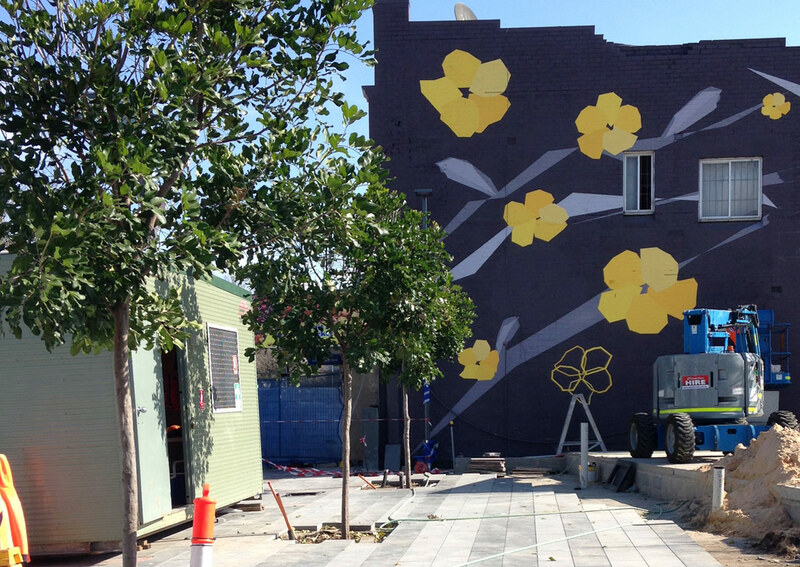 The Timeline Walls are an unfolding tapestry of Fairfield City’s historical images and stories viewed through the lens of its City Centre and surrounds. 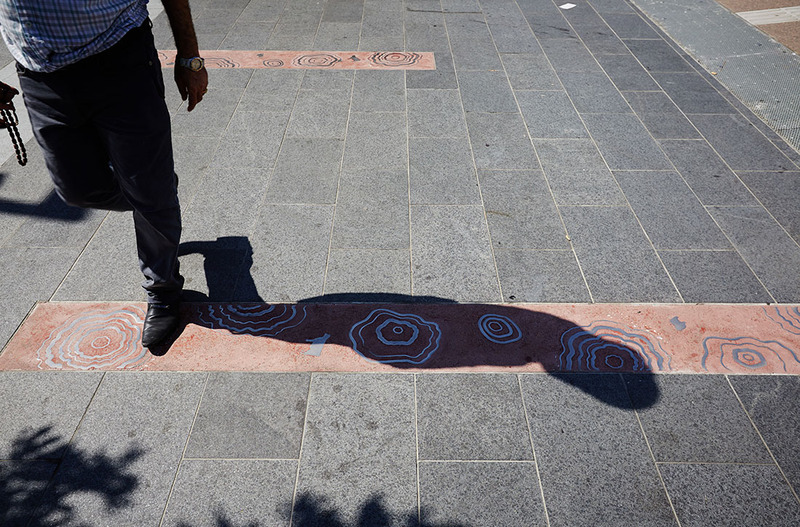 Using 8 themes the story spans the traditional owners and early colonial settlers through to the thriving culturally diverse community celebrated daily in Fairfield City. 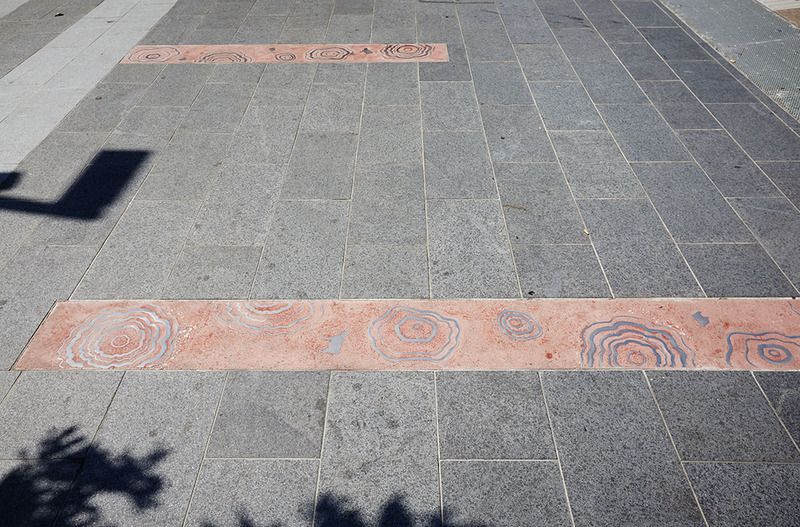 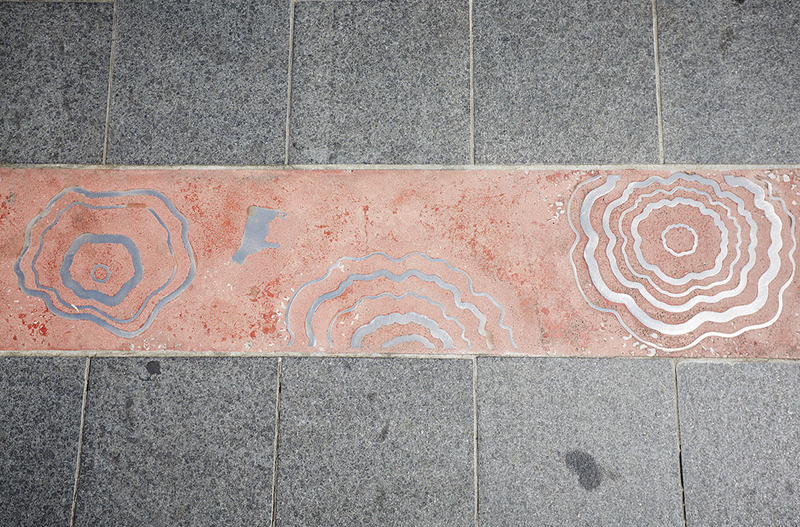 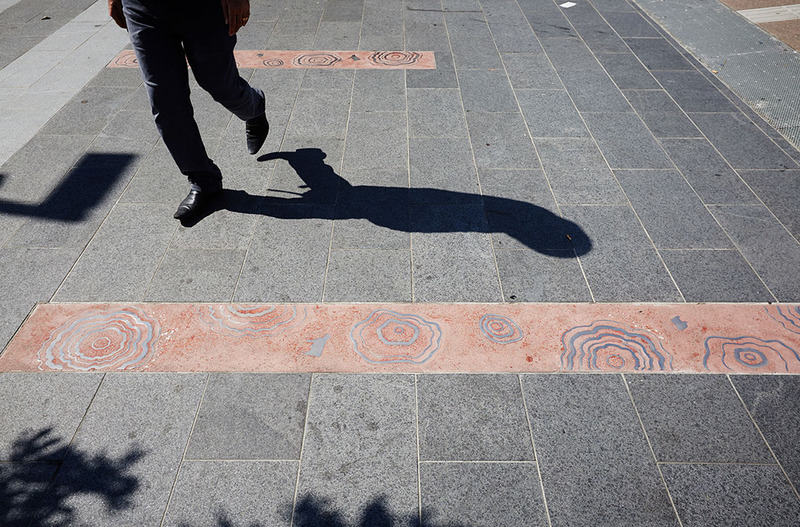 The City’s natural, cultural and contemporary history involving numerous people and places across time is displayed on ceramic tiles alongside Stephen Gapps’ Migration Timeline. 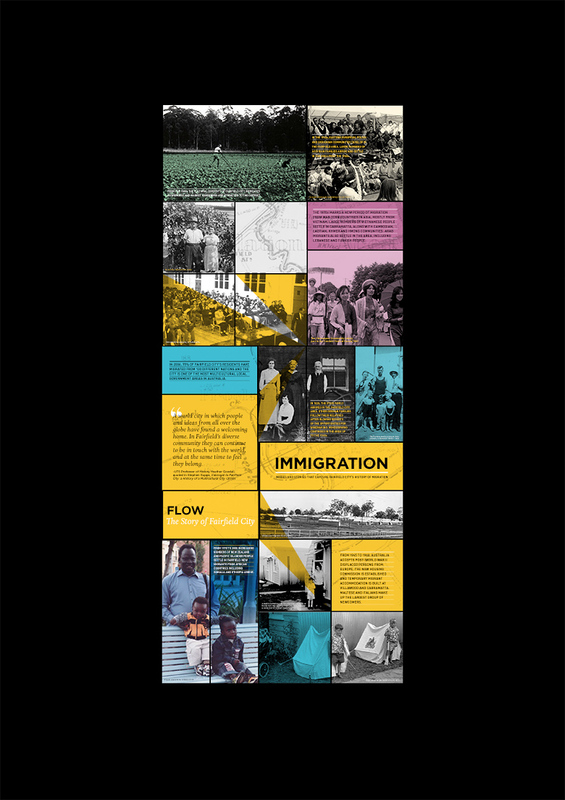 The Flow Ribbon sculpture unites and celebrates the Story of Fairfield City. 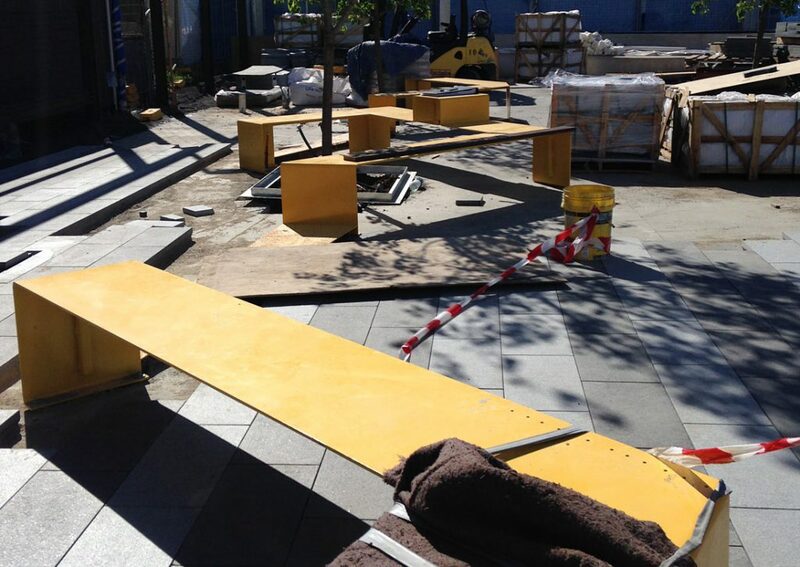 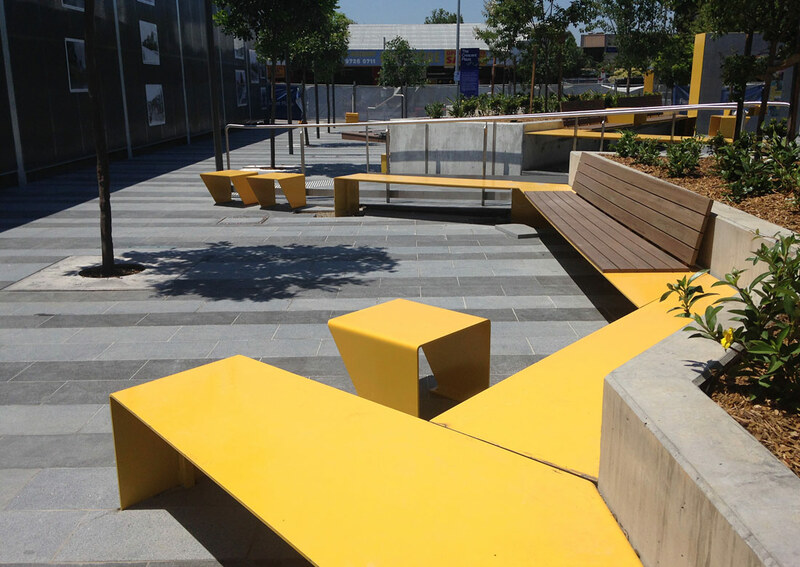 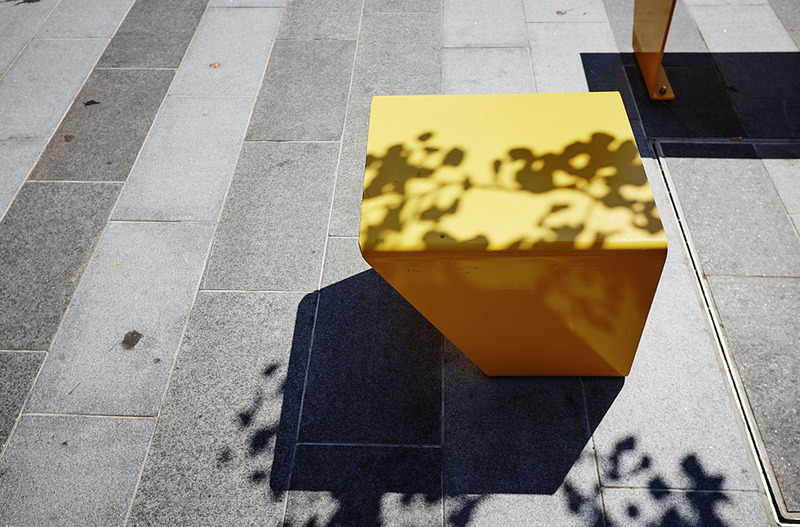 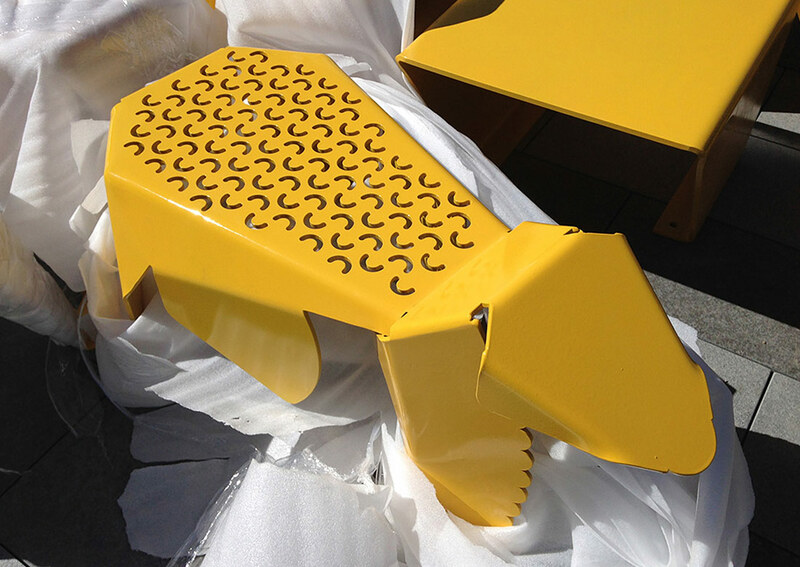 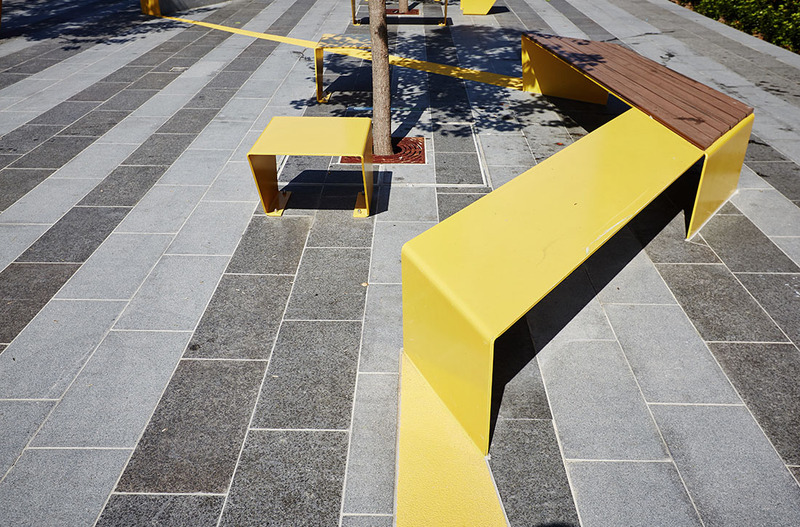 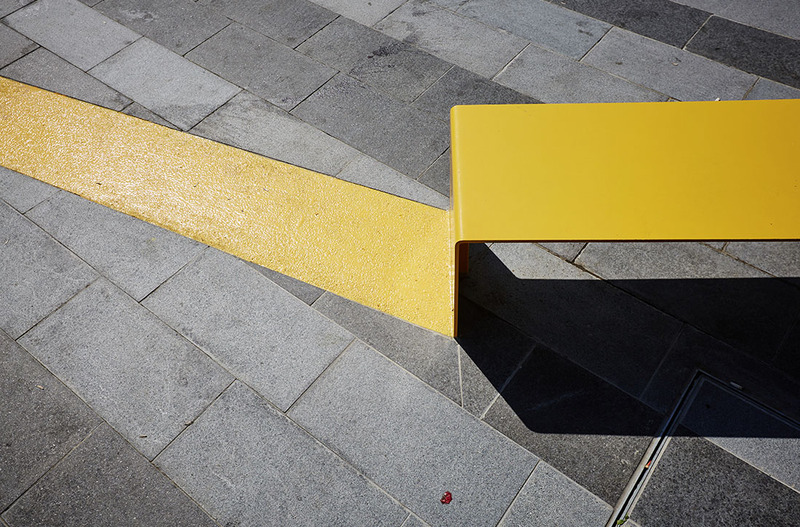 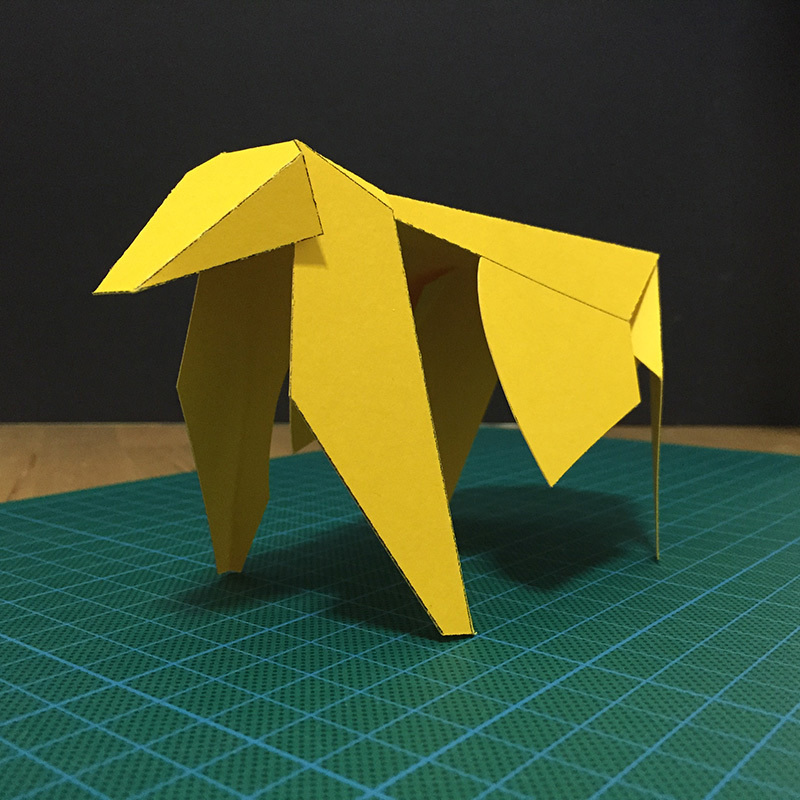 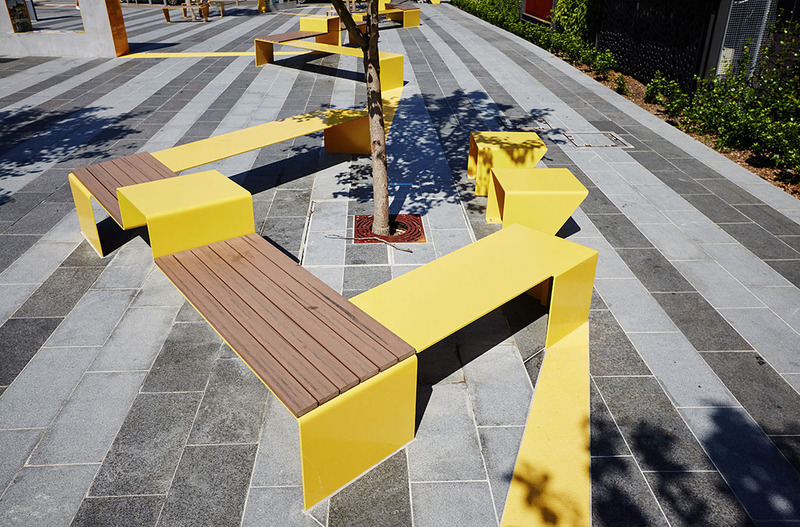 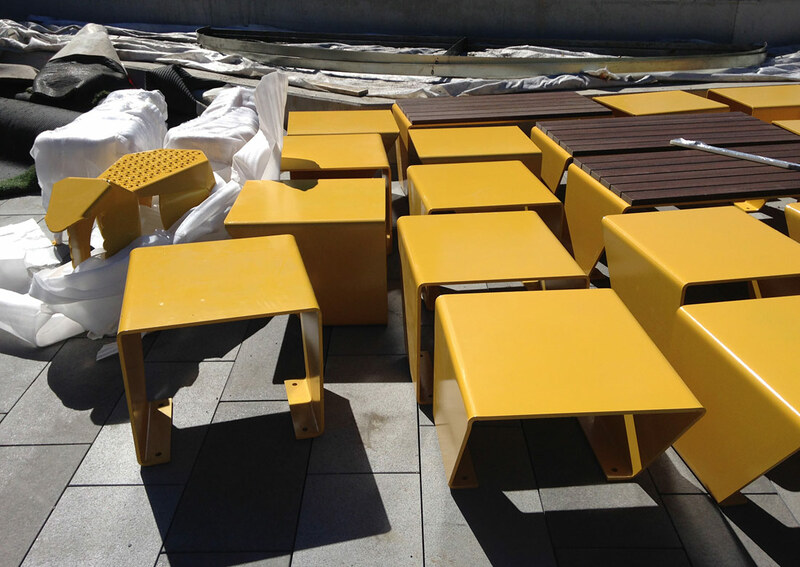 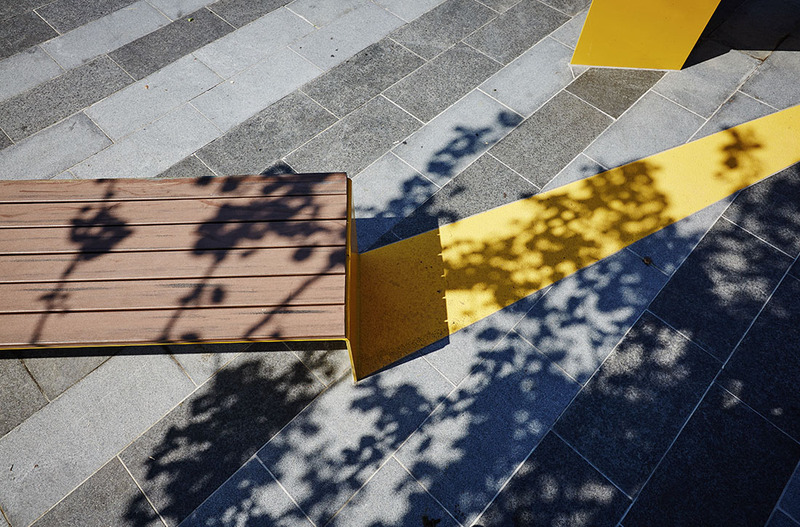 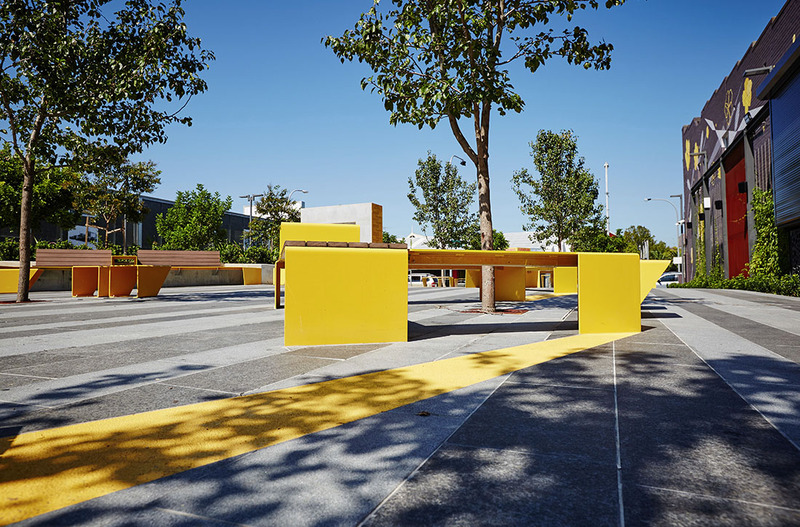 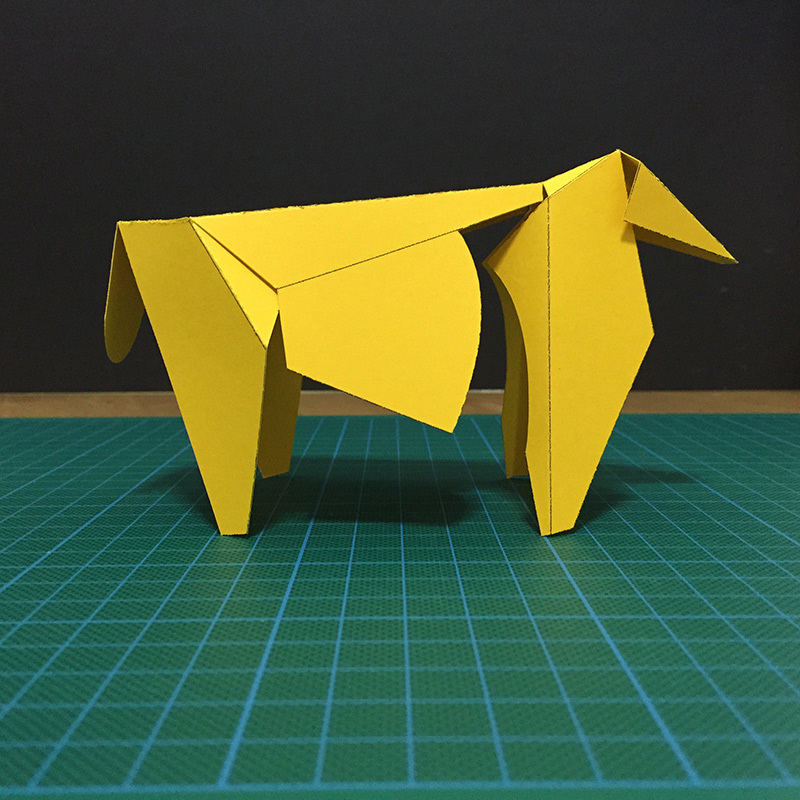 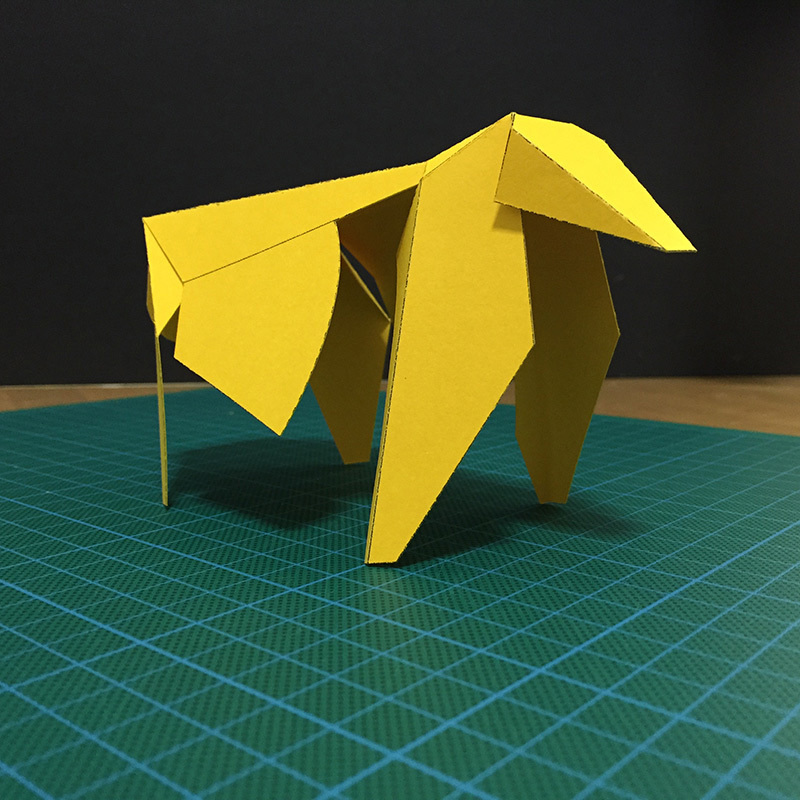 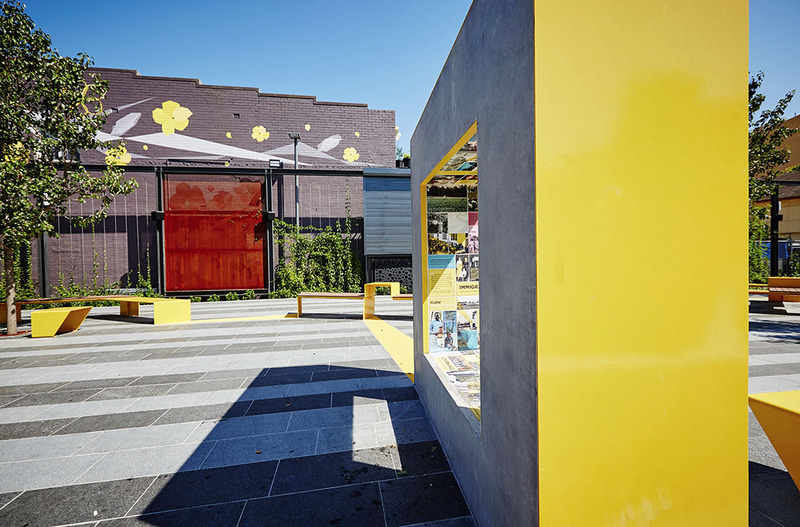 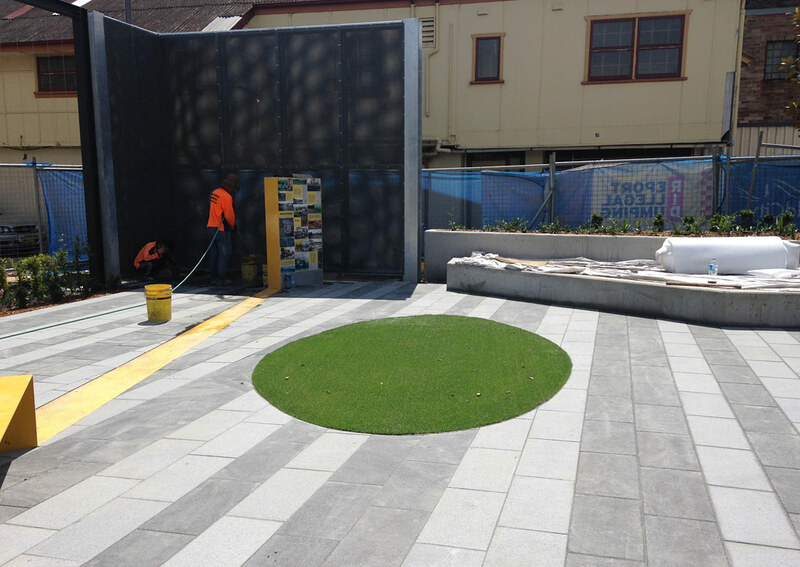 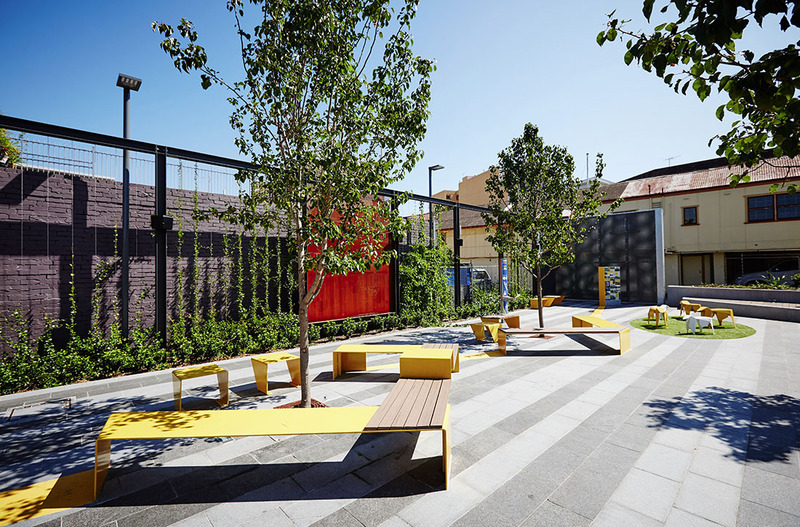 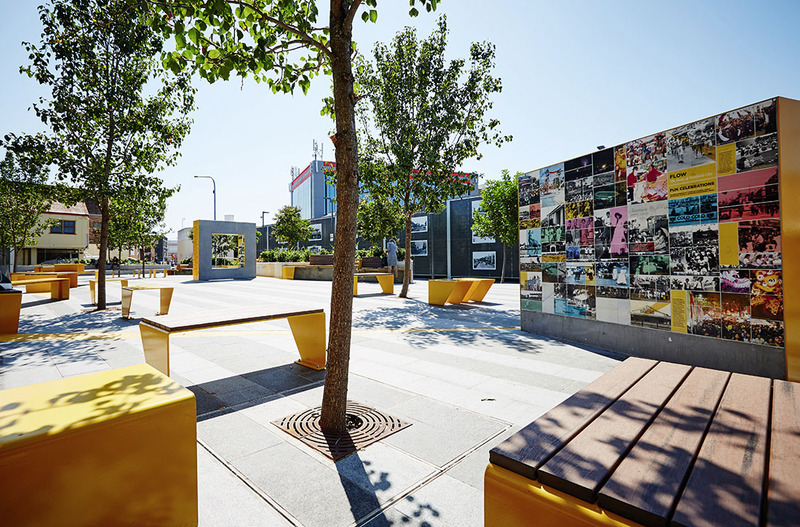 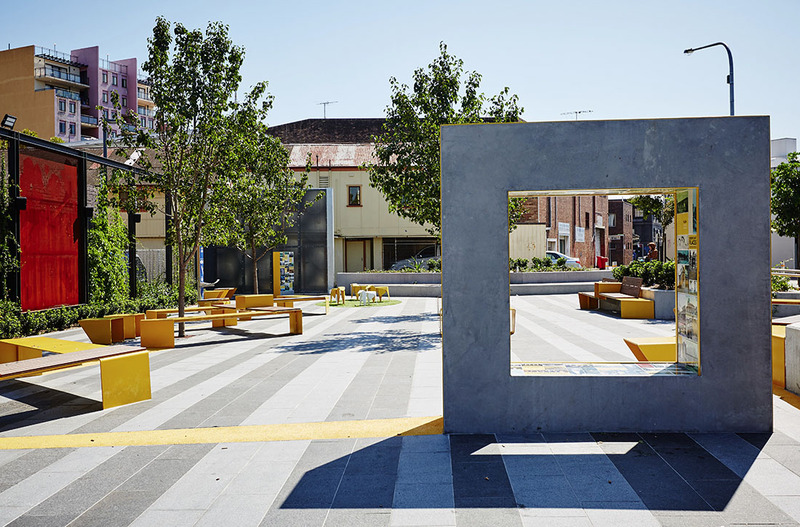 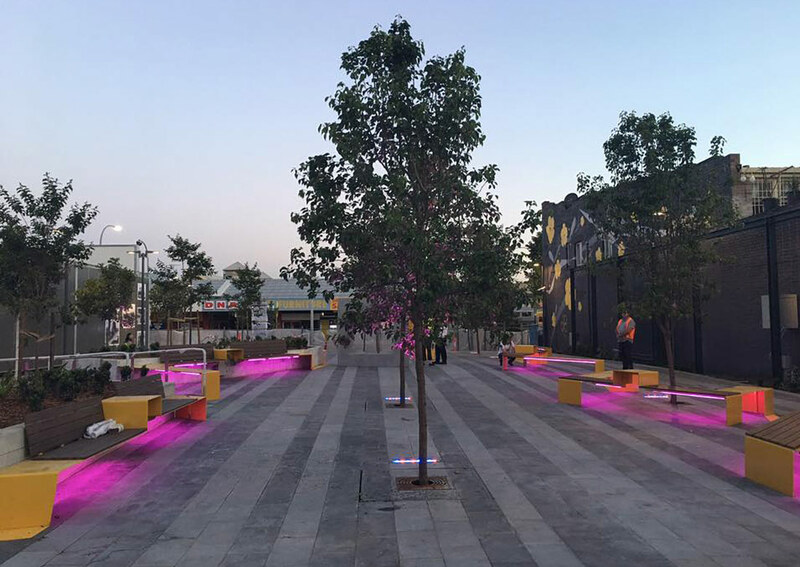 The artwork reveals itself as the sculptured yellow ribbon that folds its way through the Plaza connecting the Timeline Walls while creating seating opportunities, folded sculptural forms and vibrant urban patterns. 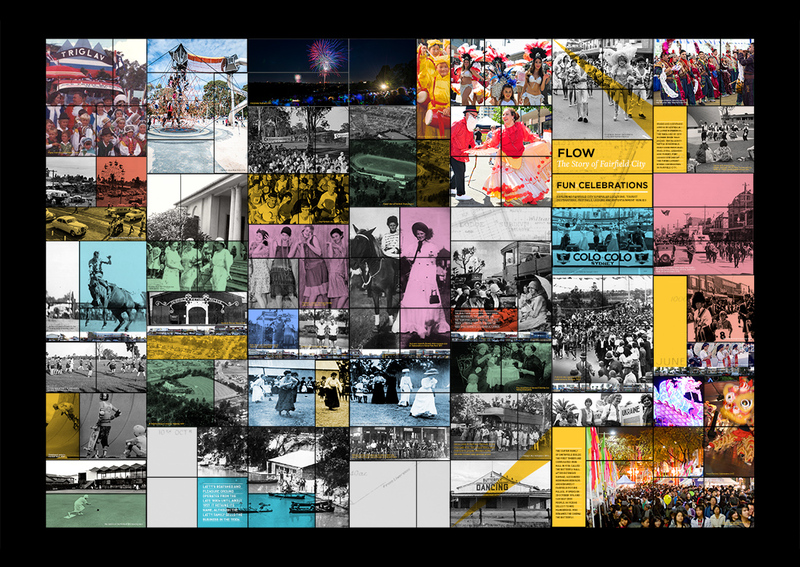 The Gallery Walk is a changing showcase of images from the historical past to the contemporary present. 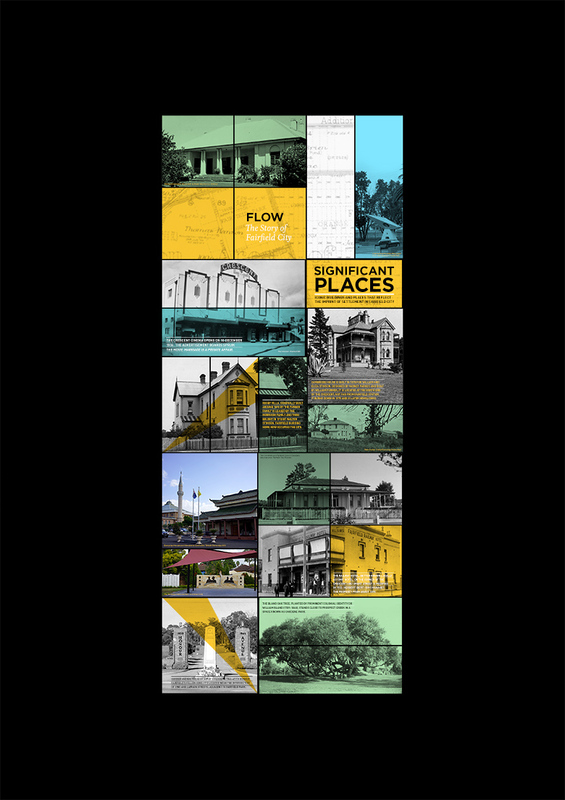 These images will be obtained from Council’s archives and other agencies as opportunities arise to celebrate the evolving story of Fairfield City. 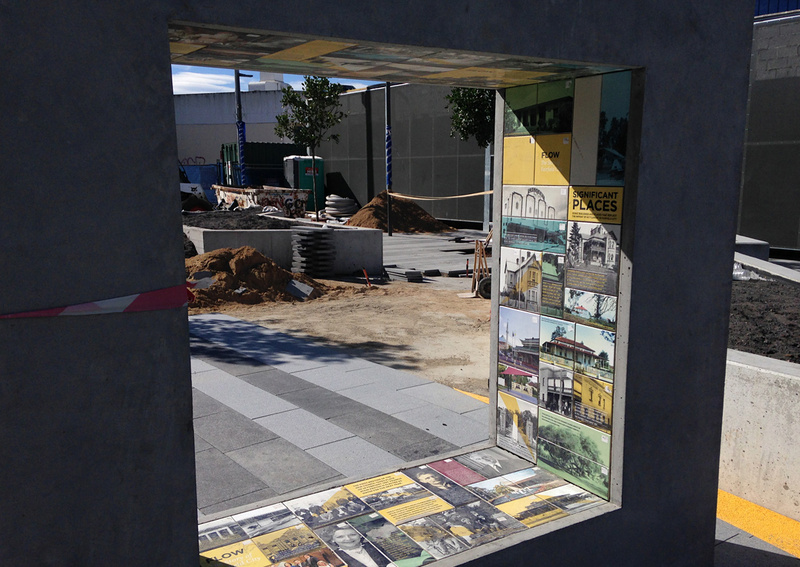 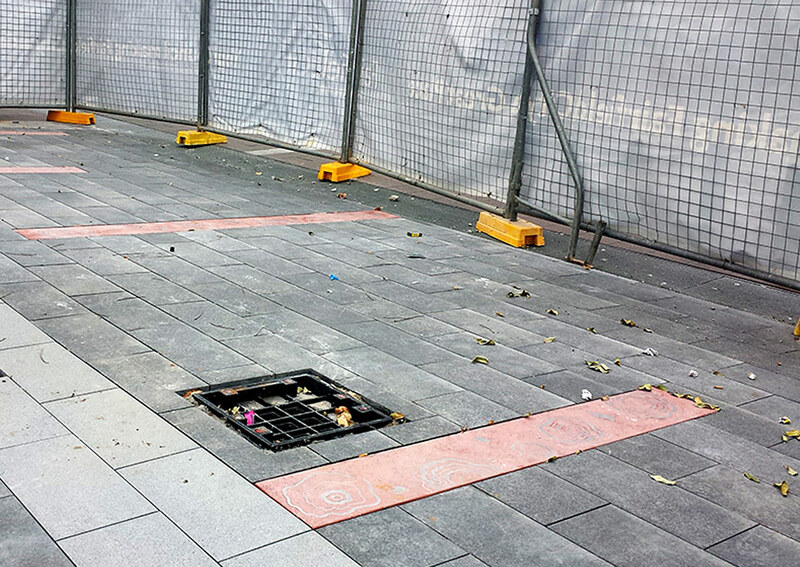 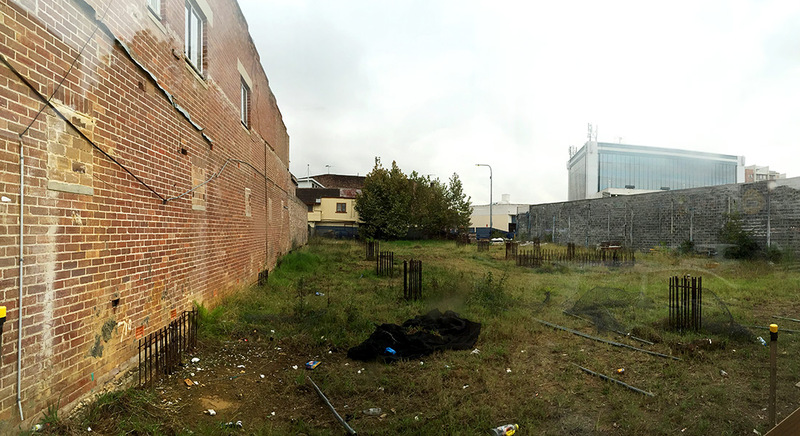 The Gallery Walk will be like a temporary pop up gallery space. 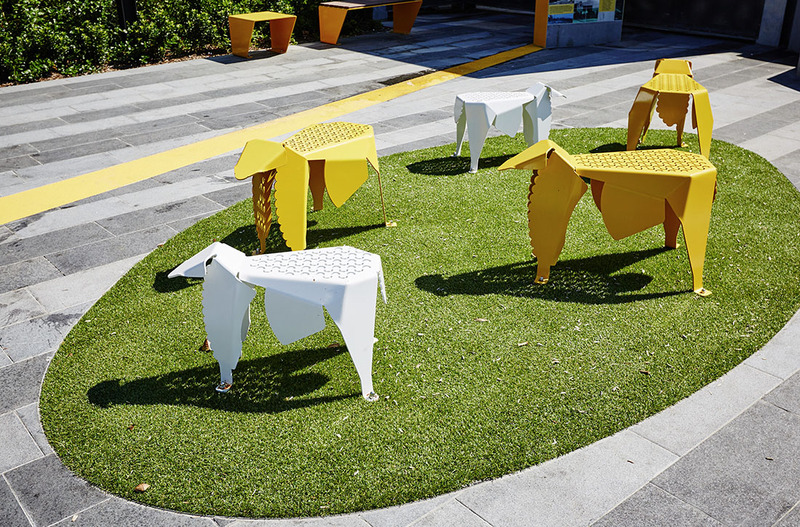 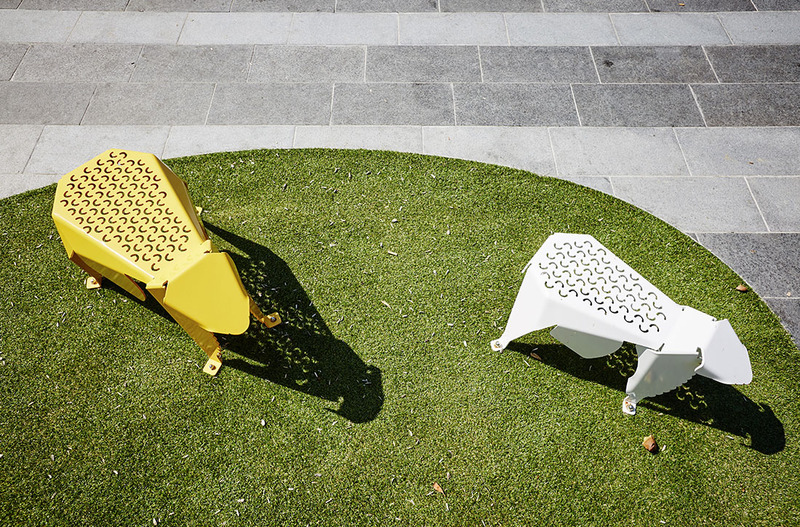 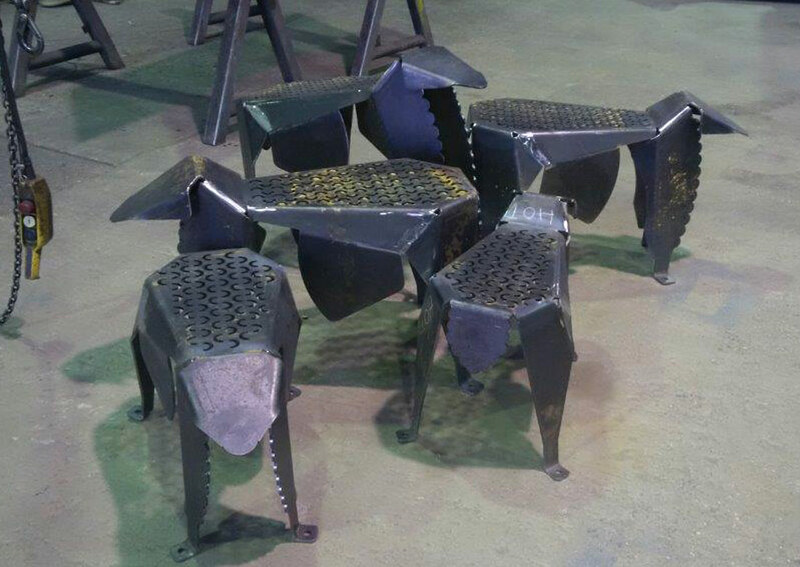 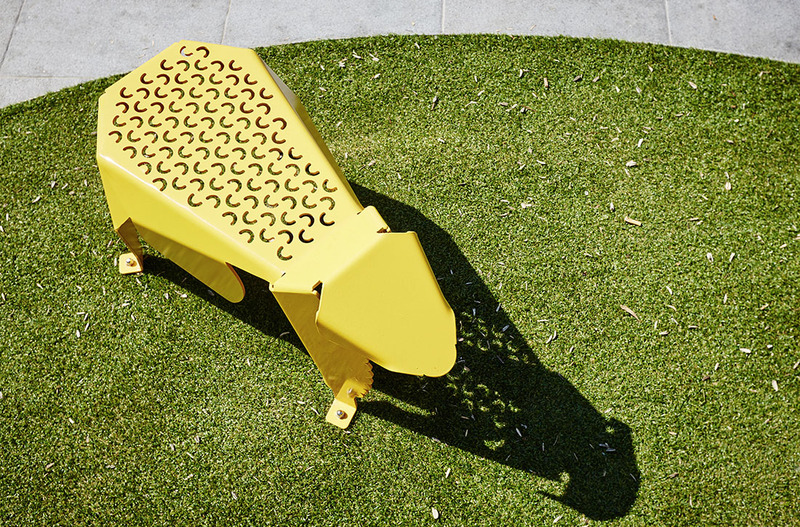 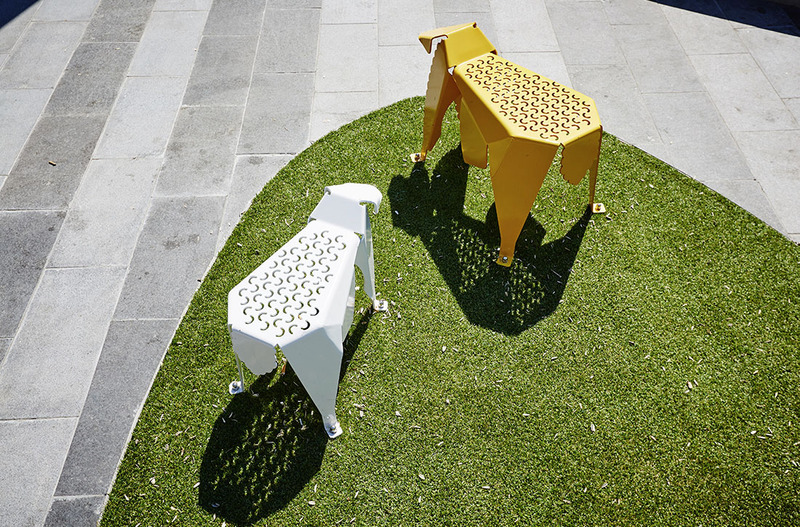 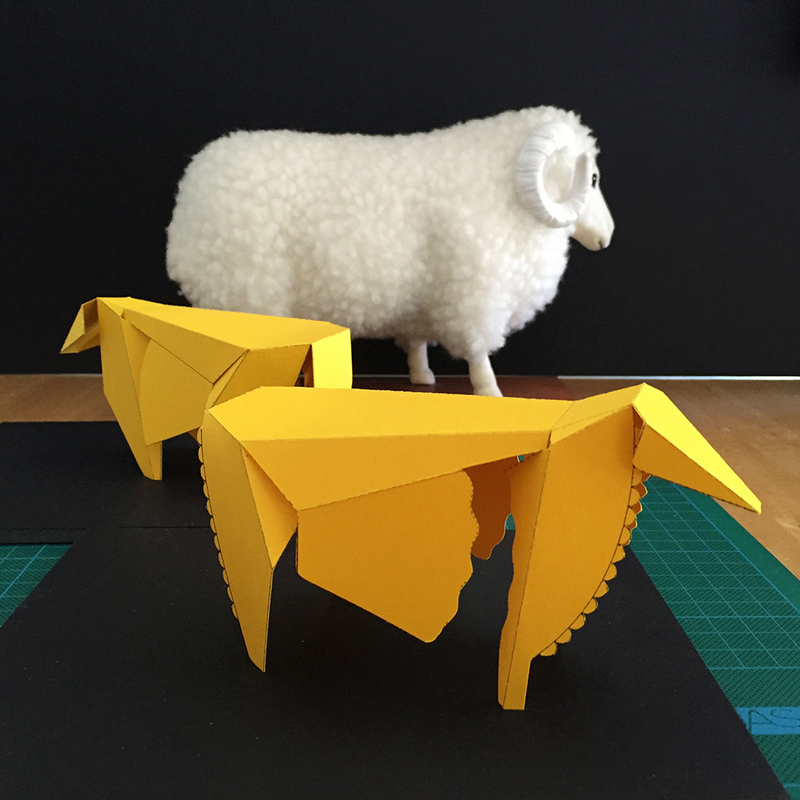 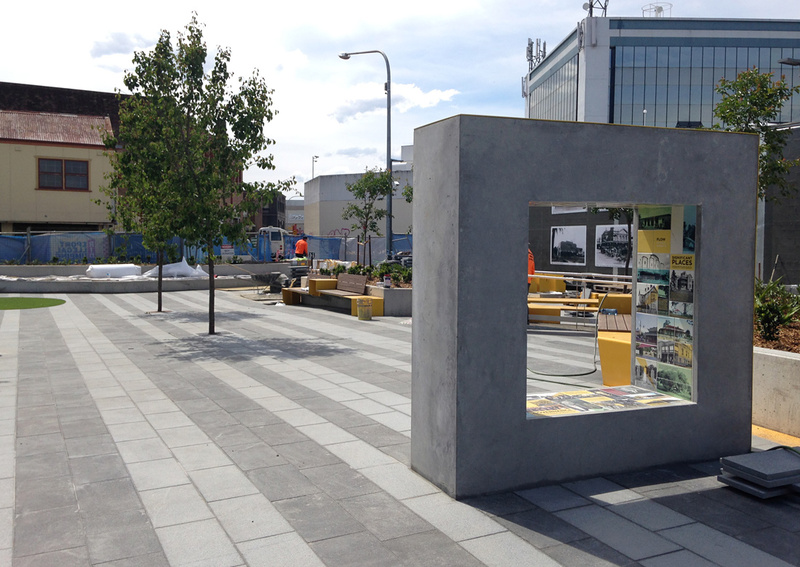 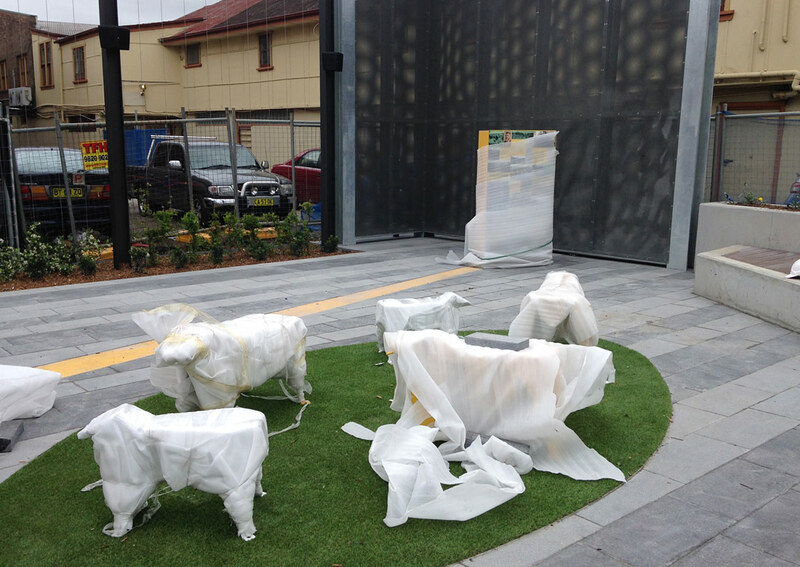 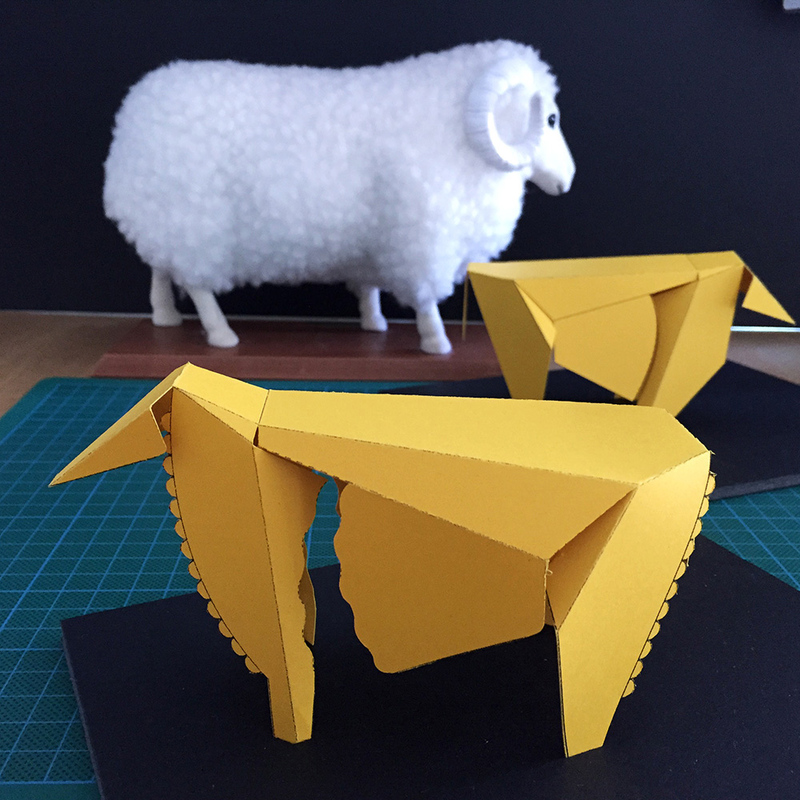 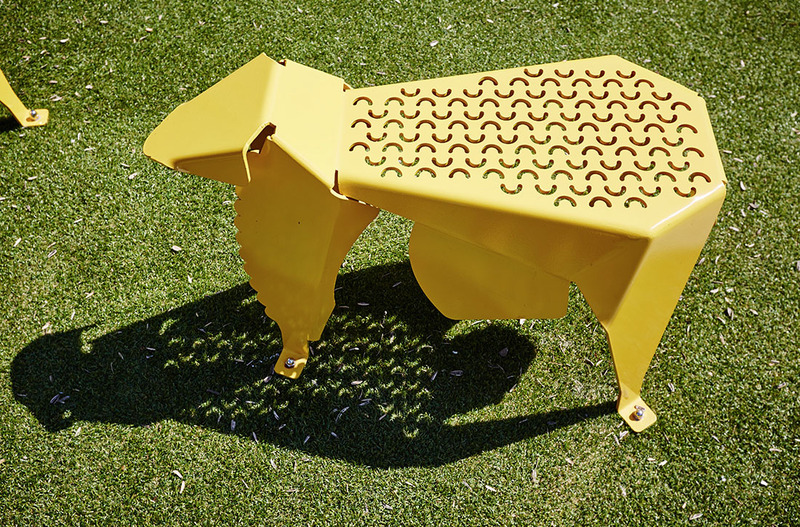 Fairfield’s rural working history is reflected through the Grazing Sheep sculpture which also connects to the Railway Sleepers inserted into The Crescent footpath at the from of the plaza. 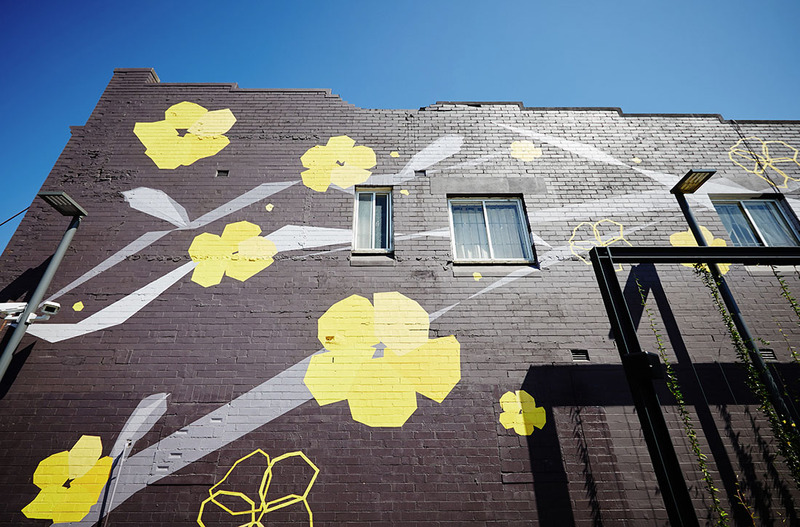 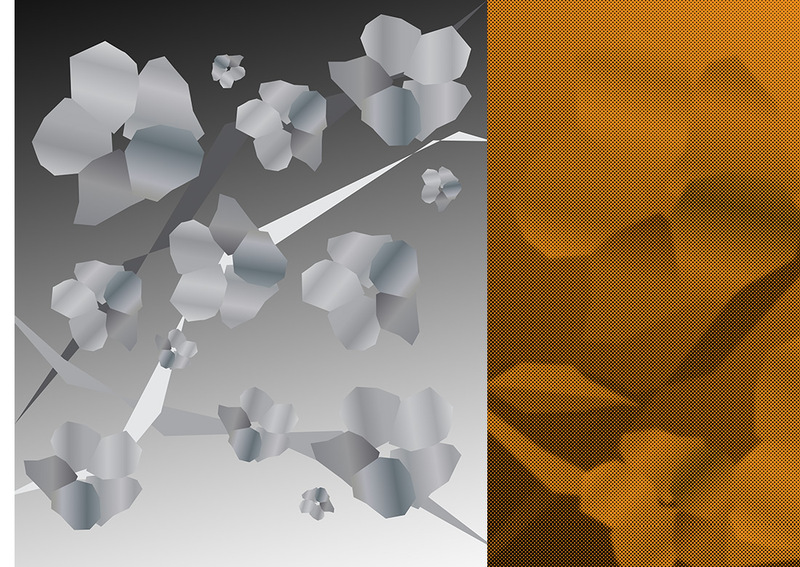 The Vine Floral Mural is a bright backdrop meant to draw attention from a distance, the vibrant colours mirrors the Flow Ribbon and extends the space into the vertical plane. 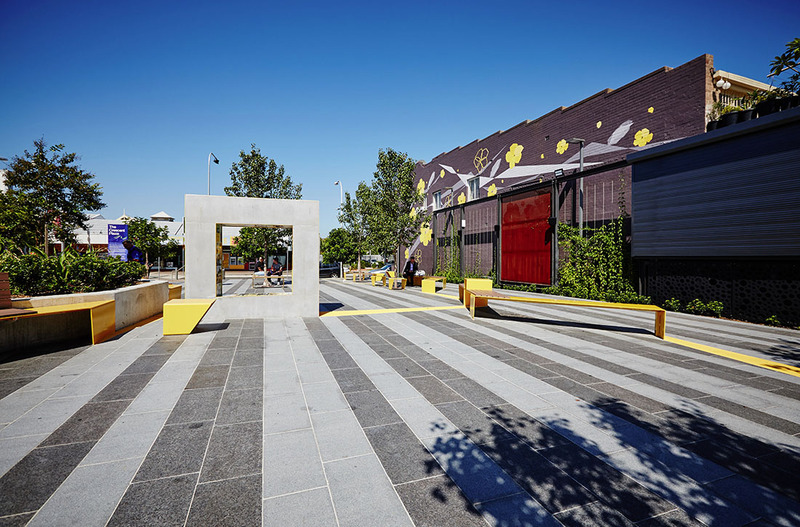 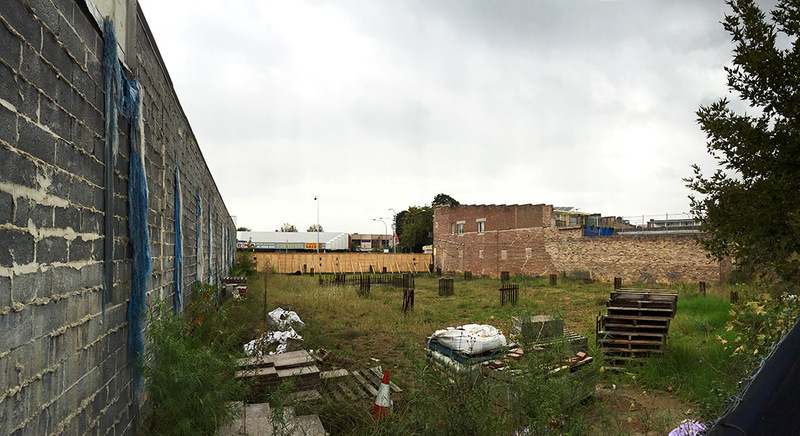 Flow Sculptural Ribbon/Seating, 3 Timeline Walls, Gallery Walk, Grazing Sheep sculpture, Footpath Railway Sleepers and Vine Floral Mural.